The watch designs which date back to the late 1800s and early 1900s have a common feature. They were mostly designed to fulfill the military requirements. 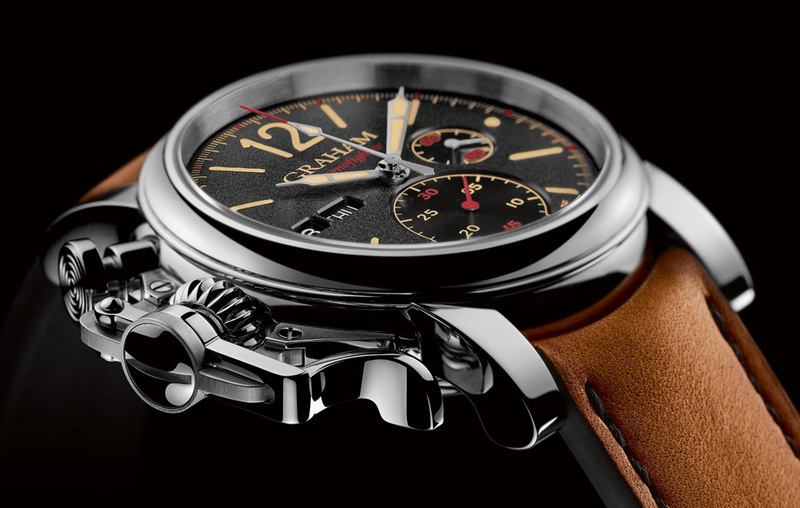 Therefore many retro or re-issue models have a relation with that vintage military spirit. 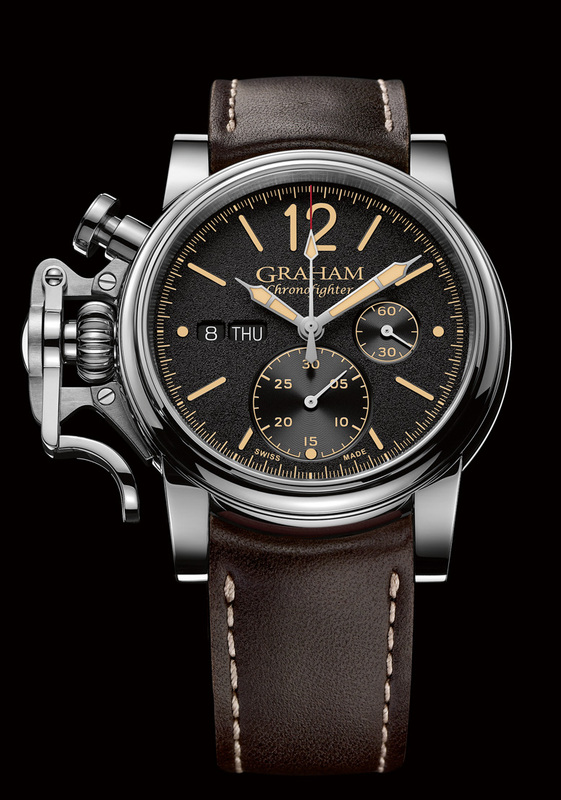 Despite being a relatively young brand, Graham is one of the names that create timepieces inspired by the retro military related designs. The story of the unique winding crown was published previously at Horobox. I suggest you to read our Editor Burak Bayram’s article first about the iconic Bomb Timer style winding crown’s here. The model we have here is the Ref.2CVAS.B01A version of the recently released Chronofighter Vintage Anniversary Collection. The exclusive, collection created to celebrate the Chronofighter product line’s 15th Anniversary, features four different models. Chronofighter Vintage Anniversary Collection combines the retro spirit with the brand’s unique design details successfully. 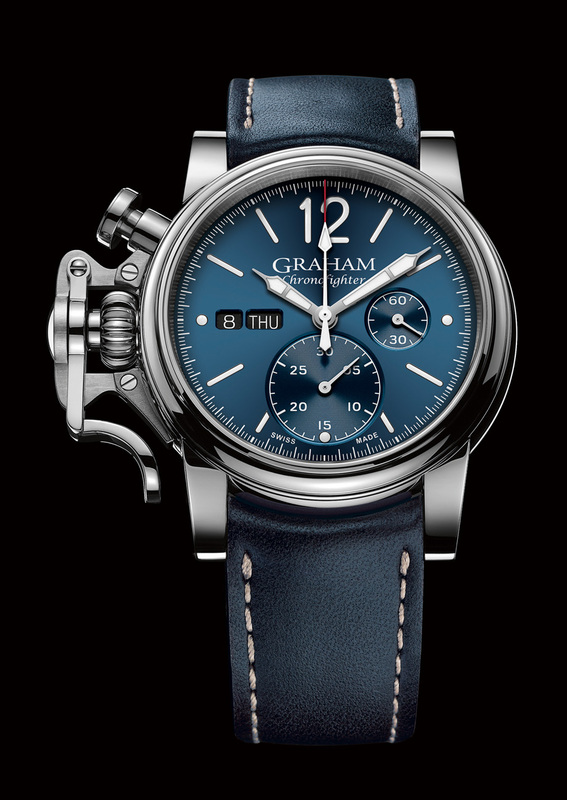 All timepieces have the trade mark Graham DNA which can easily be noticed from a distance. The lines are inspired by the spirit of 40s. 44mm diameter case is made of stainless steel. Graham style case sports a slightly domed sapphire crystal which fits the retro look nicely. The chronograph pusher and the mighty Bomb Timer style winding crown are located on the left side of the case. In fact, that lever look-a-like device is not as un-comfortable as I thought when I first see it in the catalogues however; I cannot say the same for the users who wear their watches on the right wrist. The Grained surface dial features patina color hands set and indices which perfectly fit with the vintage style of the watch. The day and date displays are located at 9 o’clock position. There is also a 30 minutes counter at 6 o’clock position and a small second at 3 o’clock position. 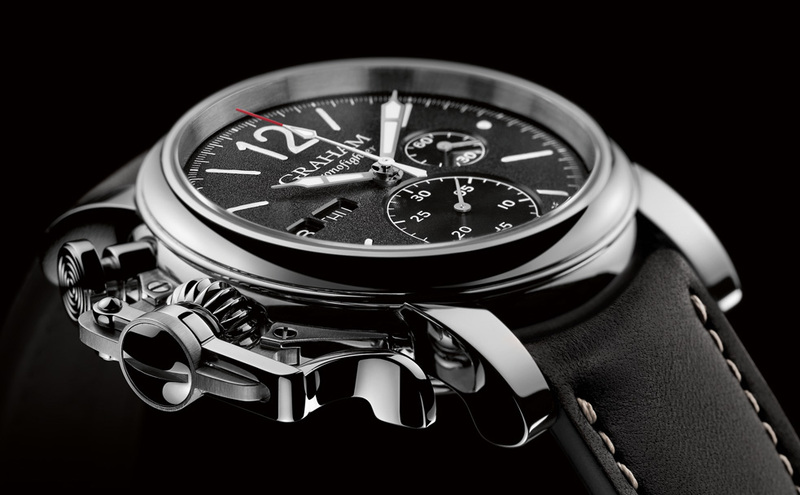 The watch is powered with an automatic chronograph movement Caliber G1747. The movement beats at 4Hz and offers 48h power reserve when fully wound. The version we have here comes with a brown leather strap. The strap is secured by the vintage look compatible tang buckle in stainless steel. Actually, I like the folding clasp design of Graham but, I always feel a tad more comfy with the good old tang buckle. I like Graham. I like their unique designs and bold wrist presence models. The Chronofighter Vintage Anniversary Collection is definitely a well put together one among many examples regarding the highly popular Re-Issue Concept. 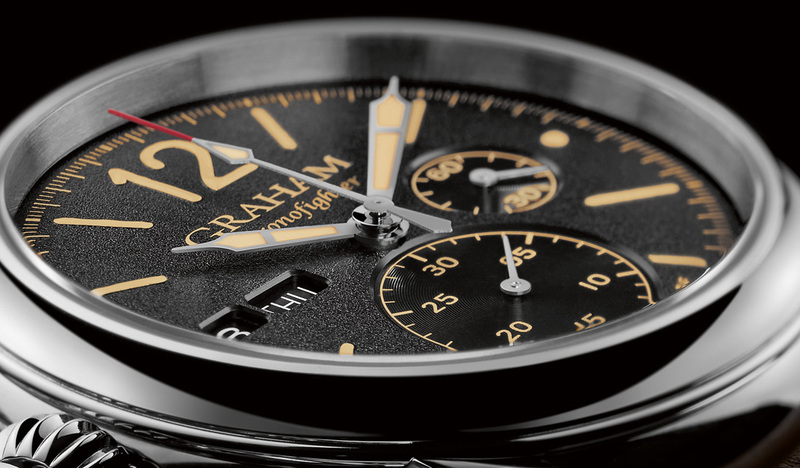 The collection offers four individual models which worth seeing in person whether you are a fan of Graham or not.